Welcome to Episode 118 of SunCast, Solar Warrior! We are back to the Solar Pioneers series. I'm so grateful you are here, and this interview with Dr. Qu won't let you down. 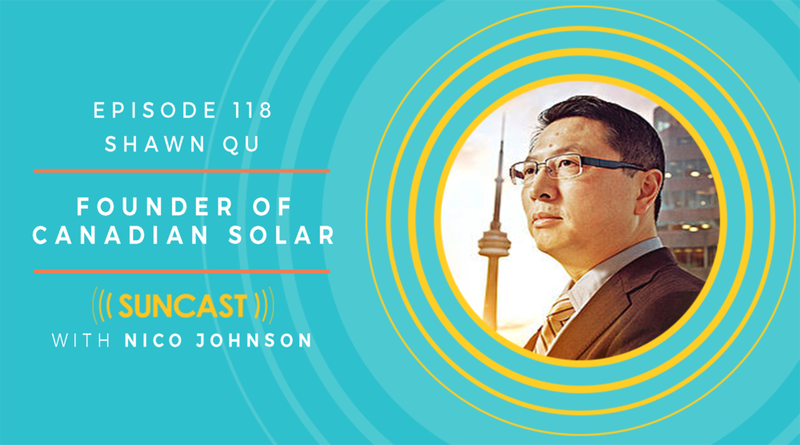 Dr. Shawn (Xiaohua) Qu has served as Chairman, President and Chief Executive Officer since founding Canadian Solar in October 2001 with little more than a vision and his personal savings, and taking it public on Nasdaq (CSIQ) only 5 yrs later! 17 years in, and the company operates on 6 continents and is set to achieve an impressive 6GW in shipments and > $4Billion in revenues for 2018! I got the privilege of sitting down with him in Anaheim recently during Solar Power Int'l, and squeezed as much as I could out in the hour I was given. The Shawn Qu Story - part of the inspiration for this interview.